Pickering has been preserved as one of the provincially significant historic sites people from around Canada like to come and visit. By its locals’ own admission, Pickering doesn’t have too many adventurous things on the menu, but it does have a range of beautiful sights nearby, wonderful nature, an airport and a very calm atmosphere. The locals pride on the town’s limo offer, too: limo rentals Pickering have very affordable rates, and with the best VIP limo 4you staff and premium fleet, you’ll get the “best limo service near me” possible. Although not too favorable for the teens living in it (they all like a bit of drama, don’t they? ), Pickering is one of Canada’s most uneventful cities which appears to be working in favor of out-of-towners who come here to rest. 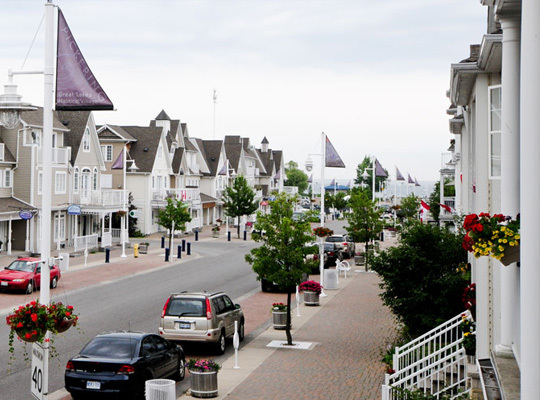 So, next time you want to take a breather from the hectic Toronto and go someplace soothing and nurturing – Pickering is the place near your location you want to explore. When you feel like leaving Durham Region or you come to Pickering to give it a look around, count on VIP limo 4you to take you places. Whether you are in the mood for some wine tasting, tourist attractions or just exploring the neighboring Ajax, Whitby, Bowmanville, Oshawa, Clarington, Scarborough, Newcastle or anywhere in GTA for that matter, be sure your chosen black car Pickering won’t disappoint you. If you happen to feel like going to the mesmerizing Niagara Falls to enjoy the view or just throw the dice around in any of Niagara famous casinos near your location, talk to our staff and book a Night Parties limo service. Get your crew together and a few drinks in, schedule your ride with VIP limo 4you and enjoy your night on the town stress-free! Your appointed driver will drop you off whenever needed and pick you up when scheduled. An added benefit is that you can book a ride on demand with VIP and have an optional pick up date; just stay in contact with your driver, and he/she will pick you when you two agree. Sitting approximately 65 km (40 mi) east of Toronto Pearson International Airport, Pickering Airport is a proposed international airport in the Pickering, Ontario area in Canada. Since the airport isn’t operating, airport taxi service Pickering is still not formed but, once the Airport is up and running, there is no doubt things will be sorted out. In the meantime, you can use Billy Bishop Toronto City Airport (YTZ / CYTZ) which is located just 45 km from the center of Pickering. Next time you are traveling, call us up and our team will arrange your “airport limo transportation near me” to its finest details. It’s all about solid partnerships and good organization – and with such a great limo service near you, you are getting all the possible benefits of an exquisite limo ride!